I was apart of something so AMAZING and WONDERFUL and SWEET this weekend. 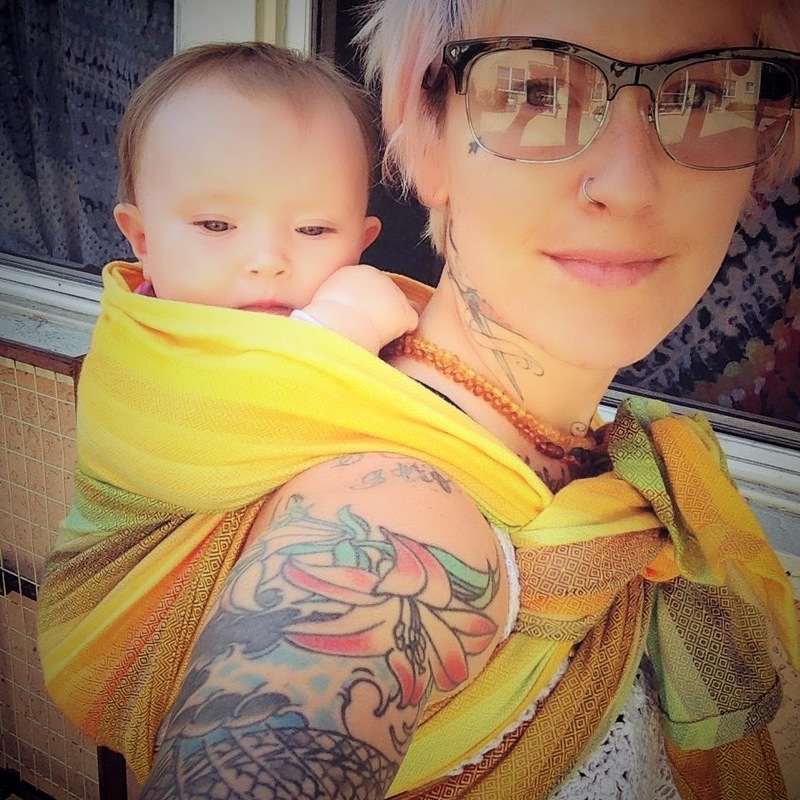 A little backstory: I LOVE BABYWEARING. Its just what works for my family. I got into it while I was pregnant with Alabama, and became so obsessed with learning all the carries, and memorizing the benefits of skin to skin, and blah blah blah, that when So-Cal Babywearers popped up on my radar, and they were looking for leaders/educators for BabywearingLA, I immediately jumped out of my skin and applied. I was over-the-moon when I was chosen to be one of 2 leaders for West Los Angeles. I was even more jazzed when I became fast friends with my co-leader. 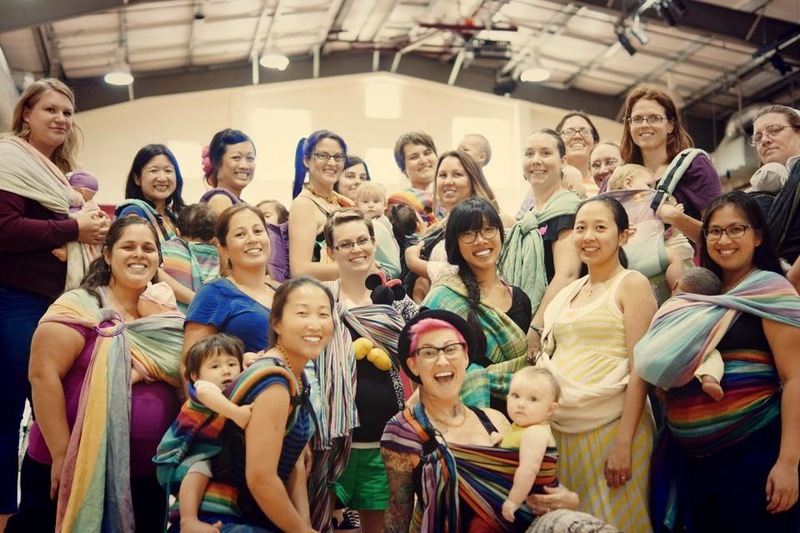 This last Saturday, all the leaders got together for a class to help build and strengthen us as babywearing helpers for our "play-dates" (meetups for babywearing moms and dads to come and get help with their carriers, try on carriers of interest, and make friends). It was great, and I learned a TON! Alabama and I are front and center, in case you didn't catch that. There was a time where I said no a lot. No to dates, to hangouts, to...SO MANY things. How fearful I was. Of what you might actually think of me, or the unknown, or whatever else I could hold on to in the self loathing department. I'm so grateful that I am able to say YES to life today (I totally feel like Jim Carrey in Yes, Man right now...I SWEAR I'm not trying to be). I've met some pretty amazing mothers. OMG- I have the flu. So the last few days have been super slow. When I get sick like this, I get a little stir crazy. Luckily this time, I just rested rather than make any important life decisions. LOL. Although I did get the chance to look at fabric and choose some new and exciting colors for shoes. I will also be coming out with legging and pants soon. Hopefully by August. 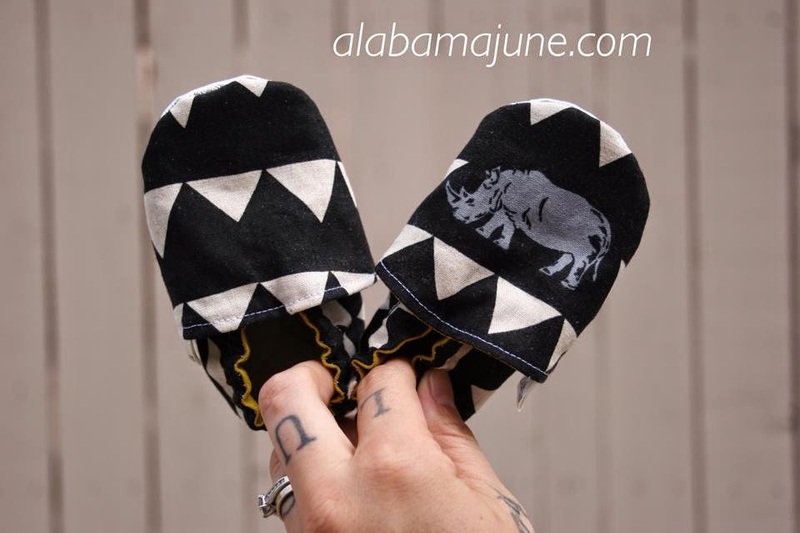 A few very exciting things coming up for AlabamaJune! Starting a business is slow going at first. So much to learn (and spend money on) all while fighting the urge to compare yourself to other people out there doing the same thing as you. But they say to not quit before the miracle happens, and so I'm hanging in there! August 9 is getting closer and closer. It makes me slightly nervous because it means my daughter will be a year old. AN ENTIRE YEAR. How does this happen? Where does the time go? When I sit and reflect back on the year, SO MUCH has happened. My husband's job moved us to Northern California when I was newly pregnant. Away from everyone and everything we knew. It took us months and months to feel somewhat settled in (and even then I wouldn't have called it "settled in"). We drove, hiked, walked, and schlepped around trying to find our "place" there and never really found it. So I started crafting. And I crafted. And I crafted. And I continued to craft. I crafted like it was my job. Which, I really think preserved my sanity, at least, what was left of it. I started an Etsy store, and I made bibs. I did fairly well. Then it slowed down and I got discouraged, and put the store on hold. Then I started making tons and tons of soap. Not to sell, but just for the hell of it. THEN...I gave birth to my beautiful baby. I made a decision then that I didn't want to return back to work outside of the home. 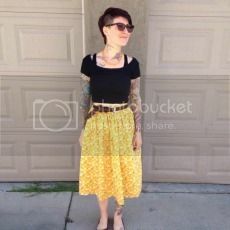 I had a vision of exactly what I wanted: to own a sweet, cute little online store and sell handmade things. Not to be a millionaire, but to do it because I enjoy it and it makes me happy. The problem that I ran into was that I didn't exactly know what I wanted to make. I did bibs, that was fun, but not fulfilling. I tried some other things, but couldn't really get into them. The thing that I think saved me during that time was that I didn't stop sewing. I kept at it. Kept plugging away trying to come up with something awesome. Then one day I started looking for a pair of soft soled shoes for my daughter that were cute, and couldn't find anything. We are pretty brightly colored in this house, and I wanted something suuuuuper cool. Nothing. And that was it. That's how I started making shoes. All it took was 1 pair and I was hooked. So here I sit, reflecting back fondly of this past year....So many years have come and gone in my life where I had thought back and though, "mehh...glad thats over". Not this year. It was so good in so many ways that I truly don't want it to end. Its the year that made me into a woman. For reals. We started the day off right: with coffee and pancakes (made by me, of course). We went to see my dad for a bit. I always knew my husband was going to make a great dad. He has so many great qualities. This is my husband showing you how big the zucchinis are in my parent's garden. See? I told you he's funny! These beauties made their debut yesterday! Allow me to introduce to you Pony Pony! Im feeling frisky...So I am giving everyone free shipping today only. Enter code SHIPSHAPE at checkout. I have 3 more styles ready to make an appearance this MONDAY! One is very Red, White, and Blue....YAY!! ...Oh, but my darling what if you FLY? I read that quote earlier today. I have to admit that it brought tears to my eyes because it was exactly what I needed to read. You know what I mean? When you are starting something new, and you have that fear. Ugly fear. And you have to choose between quitting or continuing. So many times in the past, I have chosen to quit. I would have an idea, brainstorm, get excited, but get to caught up in the "what ifs" and the "people won't like this" and it roadblocked me. Just makes you sad, doesn't it? I wonder how many other people out there stop because of that kind of fear. Today, I am choosing to continue. I have no idea what will come of my little store. I don't know if people will even like the things I make. HAHA! I do know that sewing has brought me much happiness. I know for sure that when I was battling the darkest of days with Postpartum Depression, and that loneliness of being a new mother, sewing saved the day. I know that I have had more fun than I have had in long time learning to strengthen my sewing skills to design super cute baby things. Of course, having a baby has been endlessly helpful with that. ;) There is just something so fulfilling about making a piece of clothing for my daughter from start to finish, and then seeing it on her....It forces me to enjoy. I posted some new kicks on the website today. I'm so excited about them. I hope people love them as much as I do. Alright, that's enough. Off to bed I go! Today has been a whirlwind of things. I have been utterly obsessed with bringing my baby shoes to market (wouldn't you be? 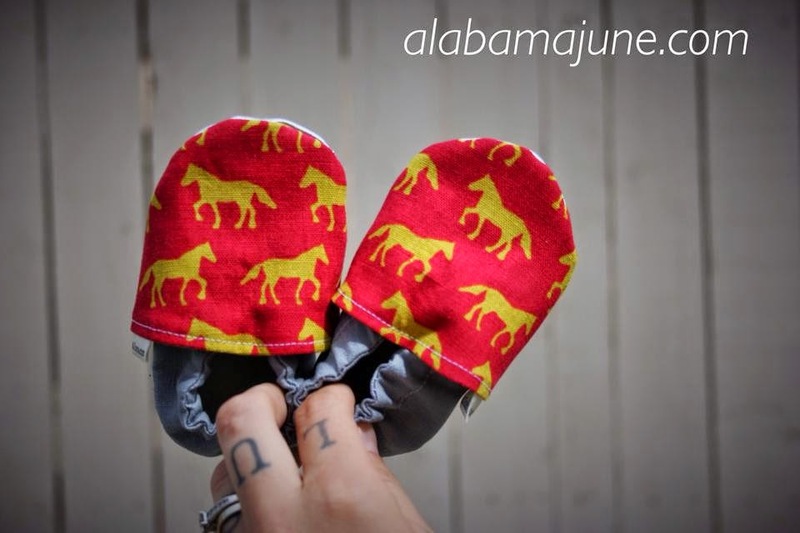 I mean, I want them to be on baby's feets like NOW! I am so just so proud of how cute they are!! ), that I haven't had a moment to breath in the last couple weeks. I have no complaints, just anxious.. I did laundry...I cant wait till my husband gets home from work, because he said he would put it away for me. WIN! That's basically the whole point of this post. WAIT- is there a point? I guess not. I need your help, though. Please spread the word! Share my page with your friends....LIKE ME, LOVE ME!